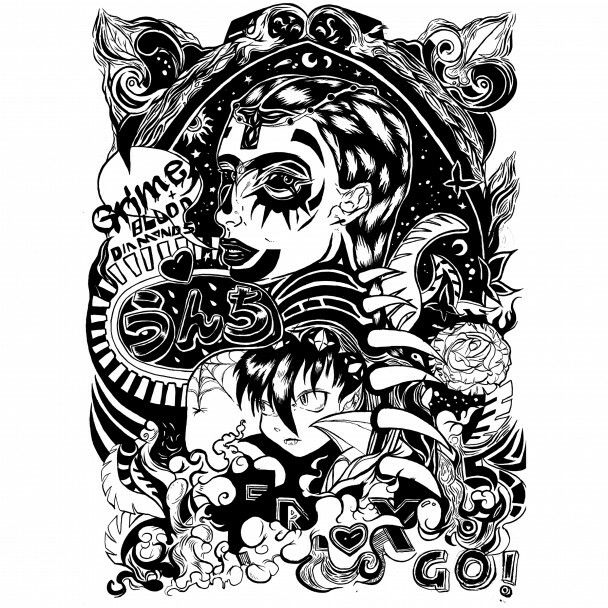 Grimes is just as popular in the indie world as she is in the Tumblr world. As a result, when she debuted a new song at Governors Ball Festival this year called “Go” that was written for Rihanna and told the crowd Rihanna turned it down, crackly audio of that version spread quickly. Now the track has been shared on her Soundcloud for free. Not only are the pop-radio beats a lot easier to make out, but so is the beautiful voice of fellow Canadian Blood Diamonds. “It’s our summer jam so we figured we should put it out cuz I am very bored of waiting to finish my album b4 releasing new music haha,” Grimes said in a press release. Not long after, Zane Lowe debuted the track on BBC radio. She also included a new publicity photo taken by her brother Mac Boucher for the release. “The look is an anime elf assassin who is a big fan of Dolly Parton and Patsy Cline,” she wrote. If there’s new official photos, then maybe a new official full-length will be dropped soon, too? One can only hope.